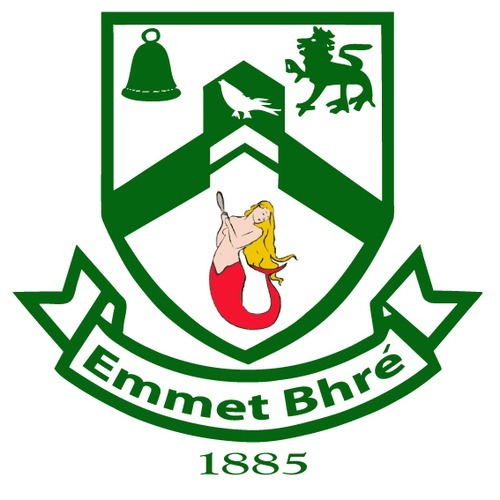 This year has been a very successful year for Bray Emmets both on and off the field. We had many successes on the playing field, secured additional funding for club development and increased our membership. In addition we secured a very experienced club coach to further develop our club to achieve its potential. This was all achieved through our great band of volunteers who selflessly gave of their time in all their roles in Bray Emmets. I would like to thank you all for your efforts during 2014 and wish you all a very healthy and successful new year. We are all looking forward to 2015 with excitement. Our volunteers are again to the fore in preparing for the Strictly Bray Emmets event in February. This is a major initiative for the club and we are confident it will be a great success. Again thank you and happy New Year to all. As you may be aware, we are currently organising a Strictly Bray Emmets dancing competition which will take place in the Killiney Castle Hotel on February 21st. This event is very much at the heart of our membership and their families. We estimate that upwards of 1,000 people will become involved in background support to the 16 men and women as they prepare to strut their stuff in aid of club funds. The reach within Bray Emmets 900-strong membership with up to 2,000 families indirectly linked to members in the club gives a unique opportunity to sponsors and advertisers looking to get their message across in the Bray area circling large parts of South Dublin and North Wicklow. The fact that we are producing a high-quality Strictly Bray Emmets programme in association with the night offers the would-be sponsor/advertiser direct access to this community at a really competitive rate of €125 per full page. We can also tailor the page placement so that your Ad is either opposite or beside a particular contestant as many people seek to do on such occasions. So why not do good business for yourself or your company while also supporting your GAA club. The executive has earmarked the funds from this event to be directed into the underage coaching of teams – our children who will become our stars of the future. We look forward to your support in this venture and you can directly involve any of the committee below who will gladly assist in every way possible.